We're still a pretty long way out from being able to talk about the next generation of console hardware in anything approaching concrete terms - but every new drip of information or rumour that does make its way into the wild hints strongly at a much more central role for game streaming technology when new consoles finally drop in a couple of years' time. While game streaming in the current generation has been very much a case of 'oh, hey, we kinda do this too', the next generation seems poised to be the one where console makers push to make game streaming into a full-parity option alongside ordinary console ownership. The goal, presumably, is to achieve a critical mass through this approach that would allow some future console generation to shift entirely to a thin client model. The latest rumour to align with this trend is Thurrott's widely disseminated report earlier this week, which suggested two key things regarding Microsoft's next-gen plans. Firstly, that the company has found a technical solution to some latency problems with streaming involving running a low overhead "slice" of the game on local hardware, and the rest in the Azure cloud. And secondly, that it will capitalise on this by launching two next-gen Xboxes, one of which will be a cheaper streaming-only device. An essential part of this approach, which ties in neatly with the idea of this being a full-parity option, is that all next-gen Xbox titles will work on either device; the non-streaming Xbox will be much more expensive hardware but will play the same games as the streaming box. "Cloud services can accomplish many impressive things, but bending laws of causality (and physics) are not in their repertoire"
The technological component to this rumour may be over-selling Microsoft's innovation somewhat. There are a handful of clever things it's possible to do which reduce the perception of latency for streaming, some of which are more difficult than others, but even if Microsoft has succeeded in doing some very difficult things there are hard limits to what can be accomplished. Ultimately, no matter what local processing you're doing, the user's input eventually needs to be reflected in a high resolution rendered screen, requiring a round trip to the server. Cloud services can accomplish many impressive things, but bending laws of causality (and physics) are not in their repertoire. The game "slice" running on a local client could do some things to make the system work better than any other game streaming system we've seen so far, but it will still be reliant on stable, high quality network conditions to an extent that many consumer broadband connections will struggle with. The commercial side of what's proposed, on the other hand, is interesting and sounds plausible. 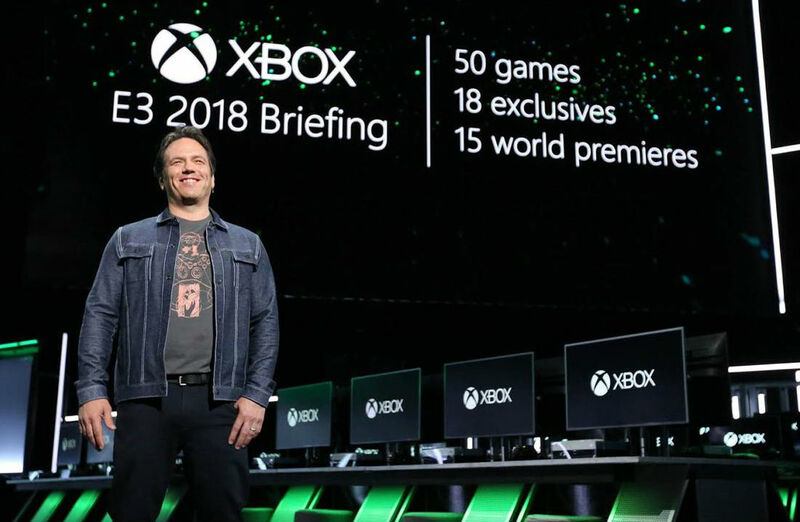 It's not just that Microsoft wants to push Xbox consumers towards an eventual streaming future, it also speaks to the company's more short-term strategy of turning Xbox into part of its broader platform offering. If we assume - as now seems quite obvious - that Microsoft's play for the next generation of Xbox products will be a kind of 'Xbox Anywhere' concept, where pretty much any Windows device - and perhaps even non-Windows devices - will be able to act as a window into your library of Xbox games, then a low-cost streaming Xbox is a perfectly positioned addition to that ecosystem. A box that costs far less than a full powered Xbox console, but demonstrates the concept of Xbox Anywhere in an absolutely best-case way - with special hardware to improve the streaming experience, and a proper Xbox controller to play games with - would be a perfect entry-level device and an exemplar of the value of what the company is offering. "Consumers who end up having a bad experience with the streaming box will need to be handled with kid gloves"
In fact, when you think about the idea of the next Xbox having a streaming-focused baby brother in those specific terms, the concept itself starts to feel oddly familiar. The sense of déjà vu comes from your dim recollection of Sony's ill-fated PS Vita TV, which, disastrous though it was commercially, hit many of the same conceptual notes as the system Microsoft is supposedly ramping up. Vita TV was essentially a console designed to let you access PS Now and also play some less demanding games (i.e. PS Vita titles) locally. The failure of that device isn't a significant reflection on the idea of an Xbox streaming console; if anything it's interesting to wonder what would have happened to Vita TV if PS Now had been a really big, mature platform that Sony was putting a lot of its weight behind. As it was, PS Now was in its infancy (and remains very much a side project), and there wasn't really space in the ecosystem for Vita TV. The ground conditions for a streaming Xbox device are likely to be very different. The risks here, however, are significant. There's going to be a big marketing challenge to showing ordinary consumers the actual difference between a cheap streaming box and an expensive console that ostensibly play the same games. The very USP of the streaming box is that it plays full-strength games, which is going to make it hard to devise marketing that effectively pushes that USP but also explains the difference. Consumers who end up having a bad experience with the streaming box will need to be handled with kid gloves; how the customer service experience works for someone who bought one of these devices and then found that their broadband connection wasn't up to the task of high quality game streaming is going to be insanely important for the Xbox brand as a whole. Some kind of no-questions-asked, full-price discount when you trade in a streaming box for a 'proper' console might be the only way to head off a lot of negative publicity and negativity around the brand in general if these devices launch side by side. There's are other questions raised as well. I wonder, for instance, if the idea of a 'split' code-base that runs part of the game on the streaming box is for real, how much development overhead this will add. It sounds like it would be non-optional to support this for any game that wants to launch on Xbox. Very, very clever development tools may help, but it's still going to be a factor that developers (especially smaller developers) bear in mind when choosing target platforms. Given the vision of the future of Xbox that Microsoft seems to have devised internally, there's a strong business case for this being how the next Xbox shapes up. But even stepping outside the thorny question of whether a game streaming future makes a lick of sense for anyone, industry or consumer, the technological and marketing challenges of this approach are significant. We won't know for some time whether the rumour is true - or even if it's an idea floated out of Microsoft itself as a trial balloon - but if it is, it will suggest a commitment to streaming from Microsoft that will truly define the company's future as a gaming platform holder. I don’t think the trade in idea is going to fly. They’d have to offer a full refund if the console reports your network connection can’t do it. A 7-day money back guarantee isn’t the worst idea.